At Sustainable Furniture we work closely as a small business to pull together exceptional service and high quality products. All of our teams are critical to the running of the business and every person is a vital cog in the workings of Sustainable Furniture. Whilst this isn't everyone that works for Sustainable Furniture, these are some of the key players that you should come across should you speak to us on the phone or email. We are lucky enough to have such interlinking job roles we can all be covered when away with minimal effect to our service, the perk of a small business when you work so closely together. Margaret is our Company Director and has a very active role within the business. 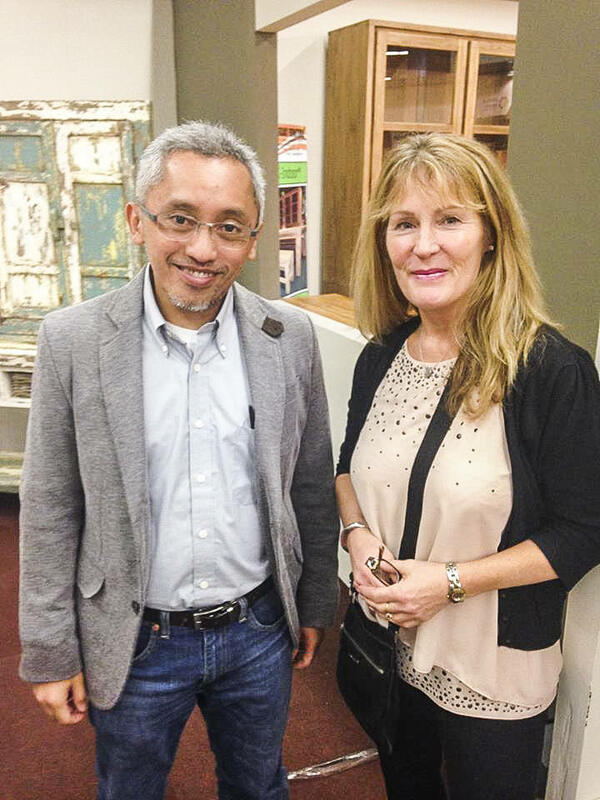 She created Sustainable Furniture in November 2007 after working in the Furniture industry for many years and drafted her knowledge from previous experiences to form her own furniture retail website. With a keen interest in eco and sustainable sourcing Margaret has spent many years forming solid relationships with our suppliers. Day to day Margaret manages company finances, the buying of our beautiful stock, liaises closely with our suppliers both within the UK and internationally and manages the sales and warehousing team. 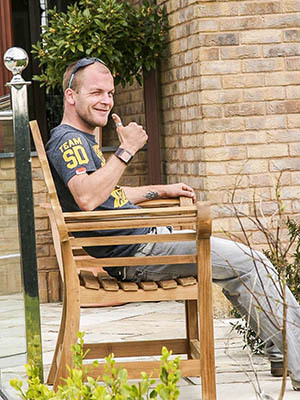 Starting with us in June 2012, Shaun is head of our workshop and works tirelessly to ensure our furniture is delivered in tip-top condition. Shaun and Andy work together to manage the daily operation of our large warehouse, from quality control, to dispatch, to stock management. 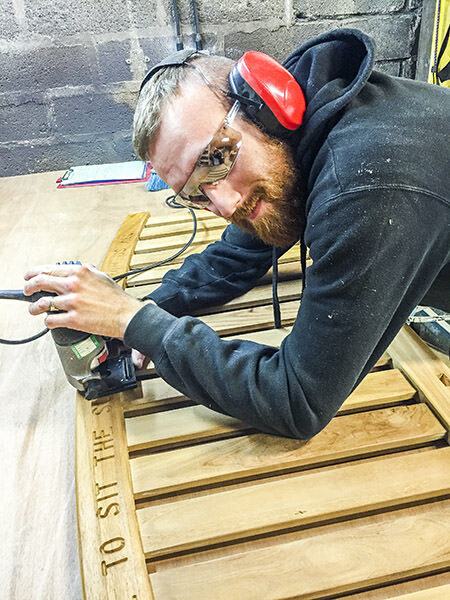 As a skilled carpenter, Shaun also creates beautiful personalized engravings for our memorial benches as well as any bespoke changes to our products and any repairs needed. Shaun has completed many bespoke projects for our customers and has a keen eye for detail, working hard for to achieve the perfect finish. 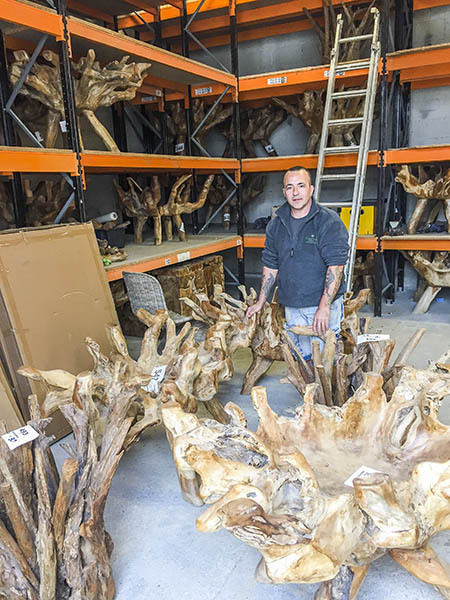 Andy joined the Sustainable Furniture team in 2015 and has taken on the mammoth task of managing our range of Teak Root furniture. This range is extremely popular, but each piece of furniture is completely unique and therefore not easy to store. Andy is a huge asset to our team and ensures effective stock management of our Roots and glass table tops. 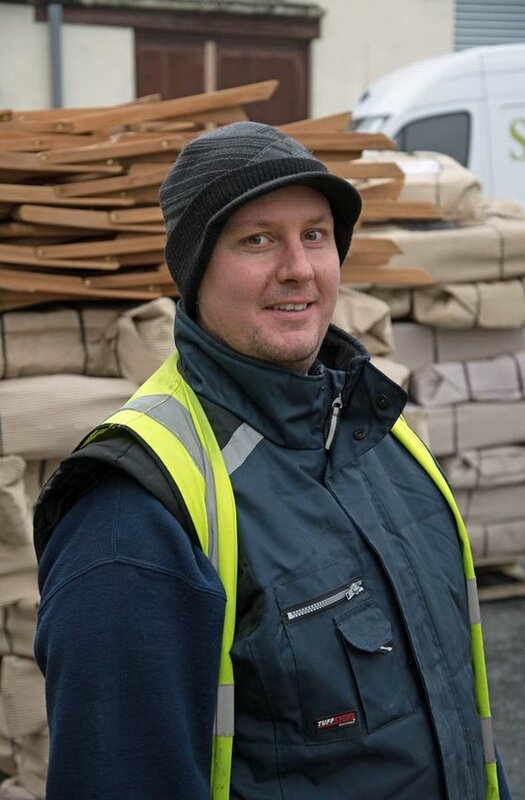 With comprehensive carpentry skills, Andy also assists with bespoke orders and makes sure our Roots leave our warehouse in perfect condition, ready for delivery into your home. Andy and Shaun work together to co-ordinate our daily warehouse operations, including picking, packaging and dispatching our products, stock management and quality control. 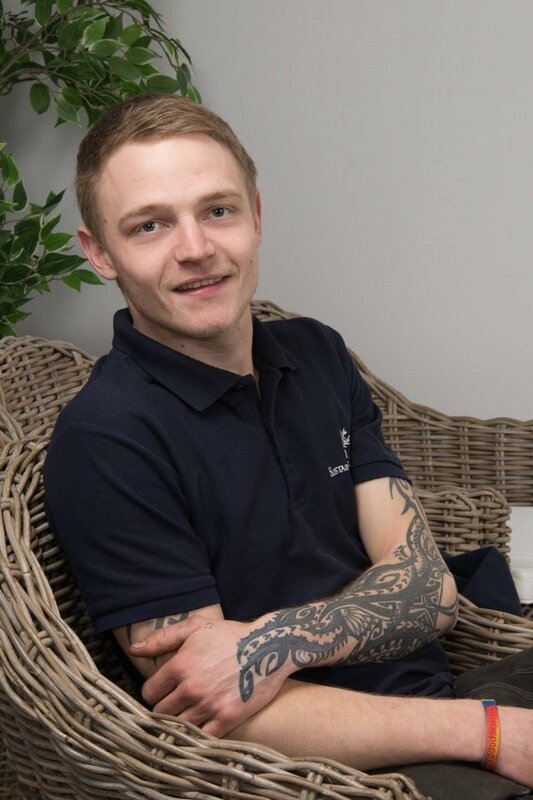 Sam started with us several years ago on a self-employed basis and has now become a permanent and valued member of the team. If you opt for our two-man delivery service you’re likely to meet Sam, as he’s regularly helping our customers all over the country. The ultimate handyman, Sam can often be found repairing and improving things around our Warehouse. Matt joined us in 2017 and is already ‘part of the furniture’, he’s become an essential member of the team and we cannot image the place without him. Matt picks and packs our products for dispatch on a daily basis, being careful to ensure our furniture reaches you in the best possible condition, as speedily as possible. Matt also regularly delivers on our two-man service, providing friendly customer service to our customers. Lee was welcomed by Margaret in January 2011 when the company began starting to hold its own stock. Lee initially started in our warehouse as a ‘one man band’ managing our daily dispatch. 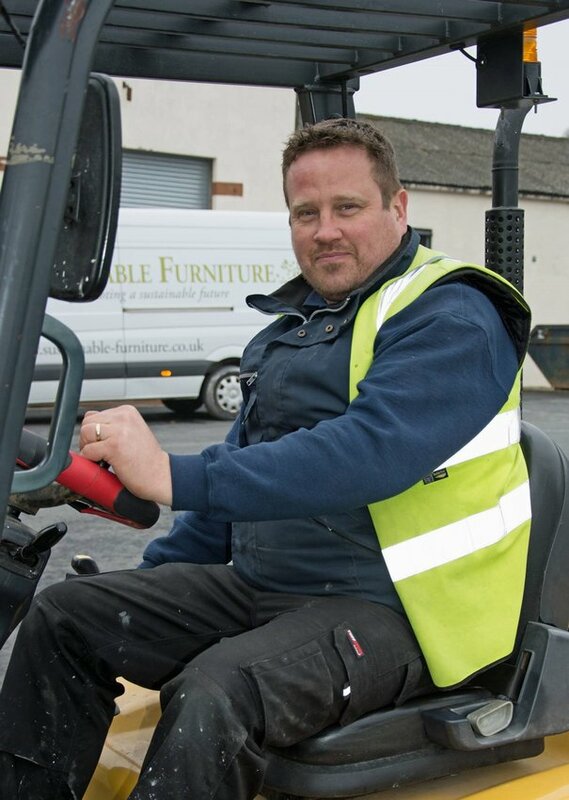 As the Sustainable Furniture has grown Lee has worked with our couriers to develop speedy and efficient distribution nationwide. Lee now manages all of our dispatch and works closely with our warehouse team on quality control, packaging and delivery deadlines. If you’re interested in our two-man delivery service, Lee co-ordinates these deliveries personally and will be happy to help. As our in-house technical wizard, Lee also works hard to ensure our website, order management and email systems are fully operational. He works diligently to improve the customer experience of our website and make sure that it does our beautiful products justice. Tamsyn has been with the company since September 2013 and has grown from strength to strength with us. She’s worked hard to develop our rapidly growing Sales Team and is always on hand to help with customer enquiries, commercial orders and trade queries. 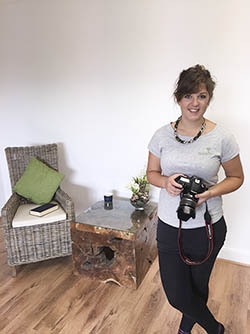 Her creative flair allows her to head up our photo shoots for our new products and design our brochures for a true but beautiful representation of the products on the site. 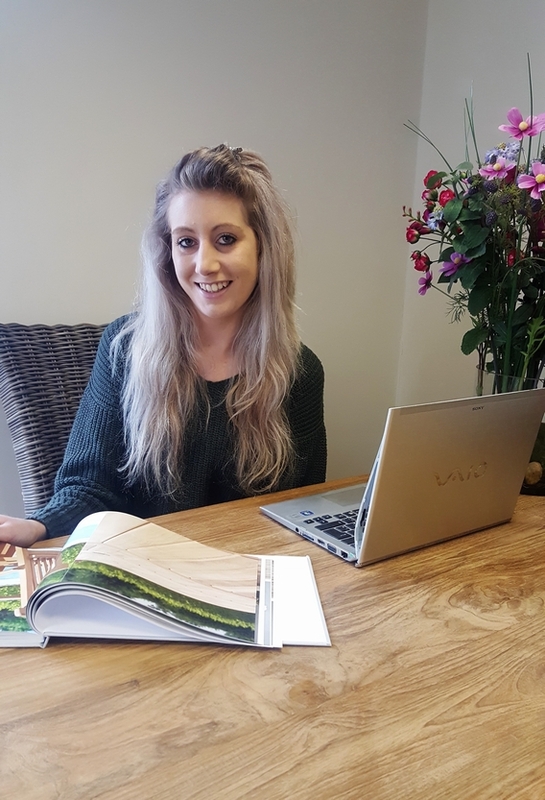 Tamsyn also manages a lot of our buying and importing, so if you’re looking for a bespoke piece of furniture, Tamsyn has extensive experience working directly with our manufacturers and is happy to assist. Dedicated and hardworking, Andrew joined Sustainable Furniture in 2016 and works with the rest of our Warehouse Team. On a day-to-day basis Andrew checks and packages our products for dispatch via our couriers and also ventures all over the country delivering directly to customers on our two-man service. Not only is Andrew practical in our warehouse, he’s also great with customers and is goes above and beyond to provide the best service possible. 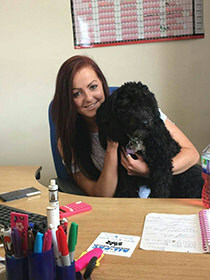 Emma is the newest member of our Sales and Customer Services Team. You’re likely to hear her cheerful voice if you give us a call and she’s always happy to help you choose the perfect new addition to your home. We’re seriously impressed with how quickly Emma’s product knowledge has grown and her creative flair comes in handy when writing our product descriptions. She’s got an eye for detail and works hard to make sure all of the information on our website is spot on. Claire started with us in July 2015 and with previous experience in customer service she is a great addition to our team. Claire works supporting customers with their purchases ensuring that customer’s requirements are met. With a wide product knowledge, Claire is happy to help with any information needed about our ranges. You’ll also find Claire writing our e-newsletters and posting exciting updates about our new products on social media. On top of this, Claire works with Shaun to manage our outdoor furniture stock levels to ensure we can meet demand throughout the year. Pam joined us in March 2015 and works to maintain our warehouses cleanliness and product standards. 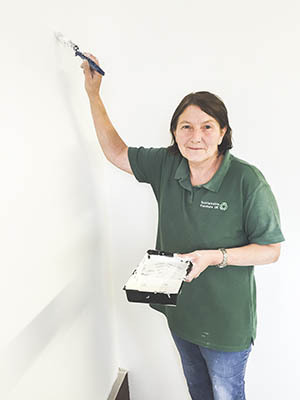 Whether it’s sorting through end of line stock, re painting seconds or keeping our showroom tidy, there’s no job too big or small for our Pam. Alfie, the original Office Dog, is no longer the only pup on the block. 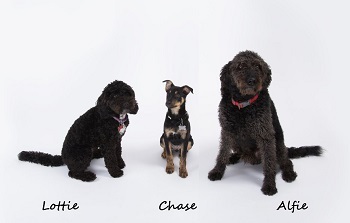 He has more recently been joined by Lottie and Chase who help him to keep the Sustainable Furniture humans in line. When they aren’t snoozing under the desk, you can find Alfie, Lottie and Chase checking the office carpet for crumbs and exploring beautiful Cornwall during their lunch break.